Today I was beating myself up for not getting more done. As though I hadn't just spent a week in my bed too sick to function. As though I could just decide that I was well enough to return to my normal top speed get everything done mode. I have to do lists! I WROTE IT DOWN!! 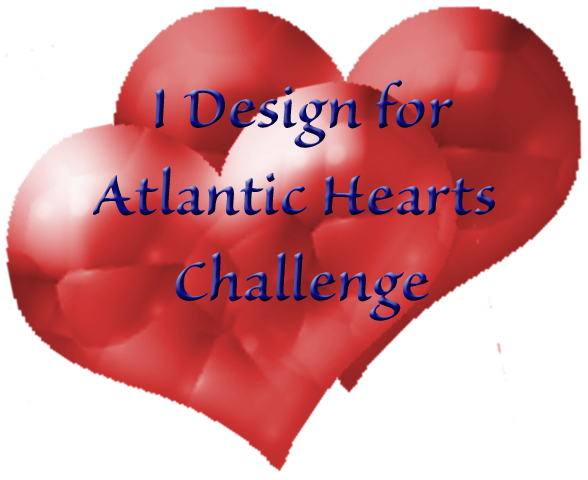 Today there is also a new sketch over at Atlantic Hearts Sketch Challenge. So I grabbed one of my AdornIt Paintables sheets and did a quick watercolor on one of the frames. 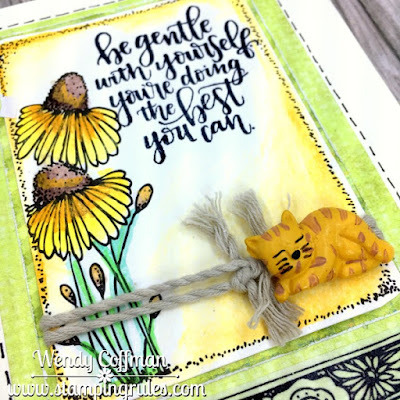 I added a sweet sentiment that I clearly need to take heed of myself, and attached it to some Green Chevron double sided paper. I grounded the design with a strip of washi tape instead of a sentiment, since I already had a lot of sentiment going on at the top. I added some thick grey twine as a wrap to the Paintables element, but I wanted to add something to the bow/knots. I tried flowers and buttons galore, until I found this little cat hanging out in my random cool buttons jar. I snipped off his backing and popped him up on some foam tape. 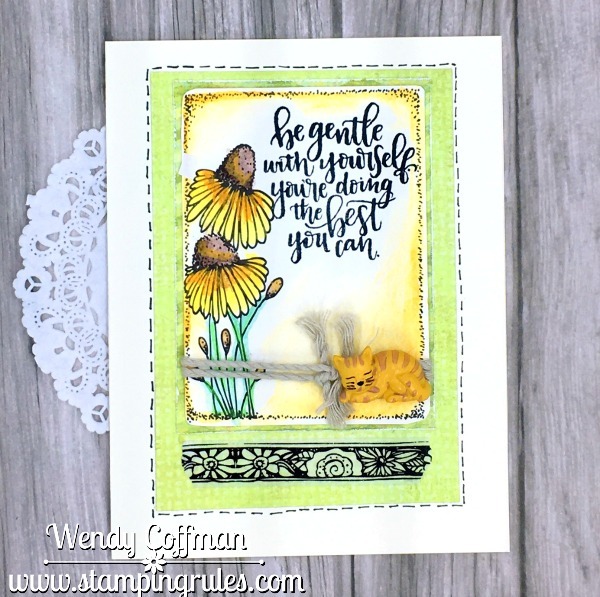 I may have needed this sentiment, but with the addition of the cat I know just who needs to receive this card now. I hope it helps her take a step back into self care as it did for me. 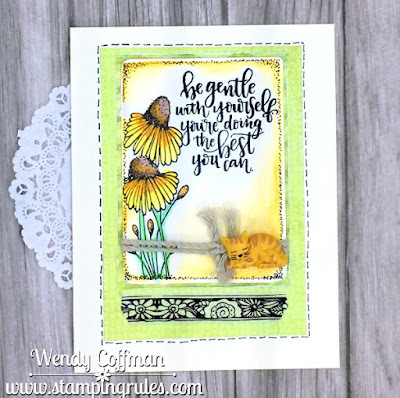 Be kind to yourselves, Stampin' Friends. We are all doing the best we can. After a week of being so sick I could barely move, never mind lift a stamp, it was super satisfying to get back into my stamp room this weekend. Some amazing friends came over and we made 17 vinyl shirts yesterday (this one was my favorite), and the crafty time we spent together was balm to my soul. 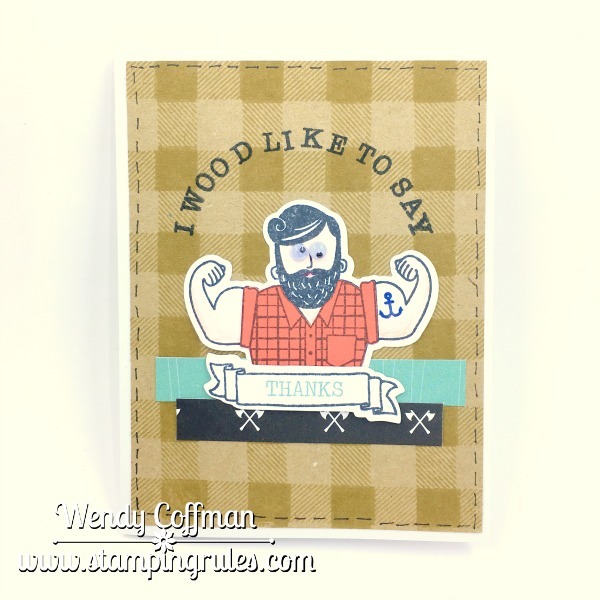 then I got a start on my swap cards for next weekend's Scrap Expo in Puyallup. 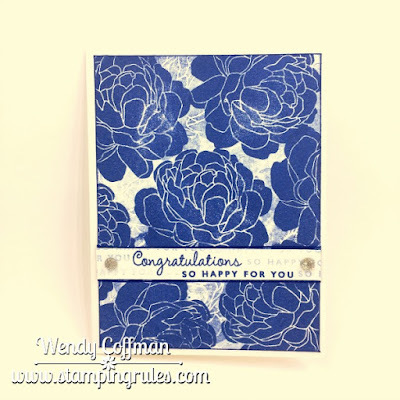 The theme for the swap is embossing! I sanded the cardstocks and created the rainbow strip to go along with this week's Mojo Monday Challenge. Then I added some sweet rainbow polka dot washi. 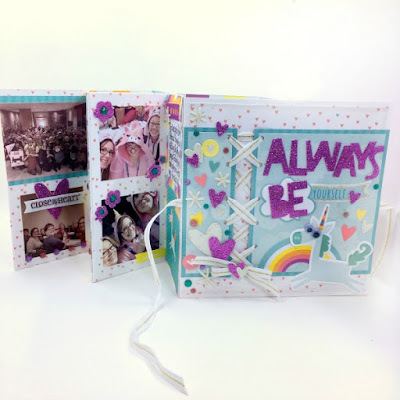 I used the matching Thin Cuts dies to bust out a herd of these unicorns and banners. 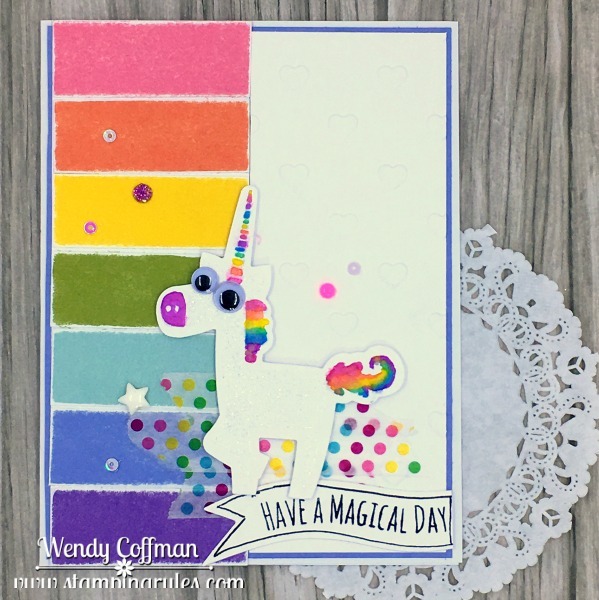 The white background is actually heart embossed cardstock, and the Unicorn's body is embossed with a sparkly bridal type embossing powder. I used the watercolor over stamping technique from my Unicorns & Rainbows Workshop to paint the unicorn's nose, tail, mane, and horn. Then I topped off my sparkly unicorn with mis-matched googly eyes and sprinkles gems and sequins around her. I hope my swapping partners will be happy next weekend! 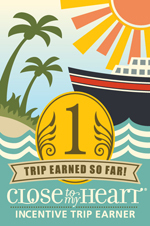 One of the big trips my CTMh team makes each year is to the CTMH Convention each summer. We love to travel in a group, and we often work together on extra projects to get ready for our trip - t-shirts, gifties, swaps, etc... It's only a little over a month before we jet off to Utah, so I've got a bit of Convention-on-the-brain-itis! So when I won my new Jack Cardmaking set with this adorable big ol' bear who can HOLD ALL THE THINGS (Thanks, Naomi!) the first thing that popped in my mind was my tiny Sticky Boy stamp. 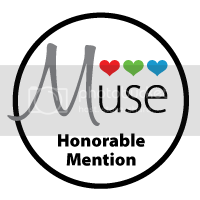 It's a thing at CTMH conventions - they hide this stamp image in various sizes all over the place. He's even got his own Facebook page. You never know when or where you'll find one, and it's like finding the pot of gold at the end of a rainbow when you do. Mine is a tiny little 1x1 image, just right to hang out with this bear. I paired my bear and Sticky Boy with my favorite new print from this Seasonal Expressions, the tiny heart print from Little Dreamer. I colored the images with watercolor pencil, lightly blended with a small water brush. 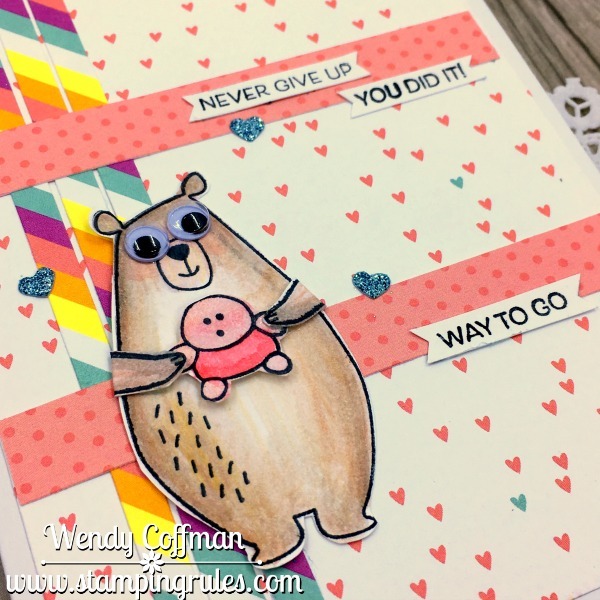 And I couldn't resist giving this big bear some big wiggly eyes. 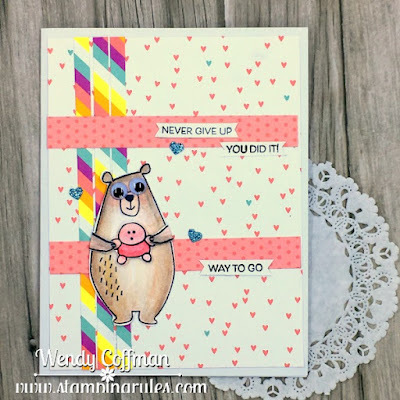 This card is based on the fun new sketch over at Atlantic Hearts Sketch Challenge - pop over there to share a card of your own! 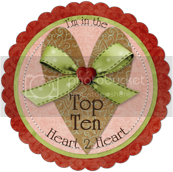 I'm also linking up to the Heart 2 Heart Teeny Tiny Challenge! 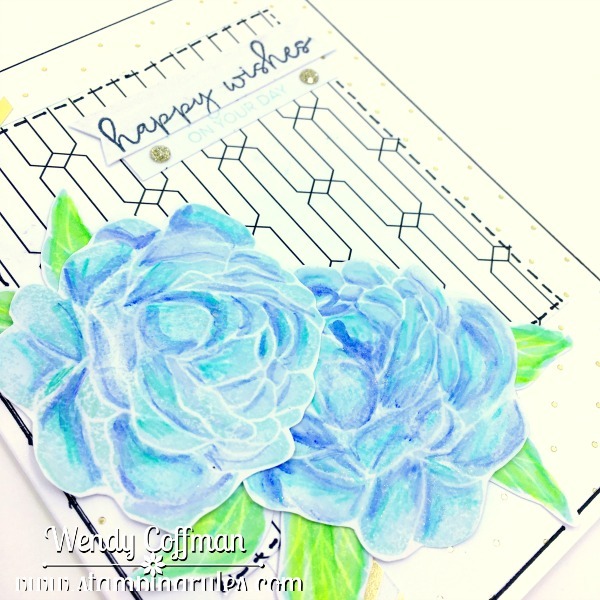 While I love making more complicated watercolor versions of this month's Live Beautifully rose images, I also wanted to see what I could do just stamping a single rose, fast and simple. Inspired by the Navy in this week's Fusion Card Challenge, this little Congrats card comes together in no time at all. 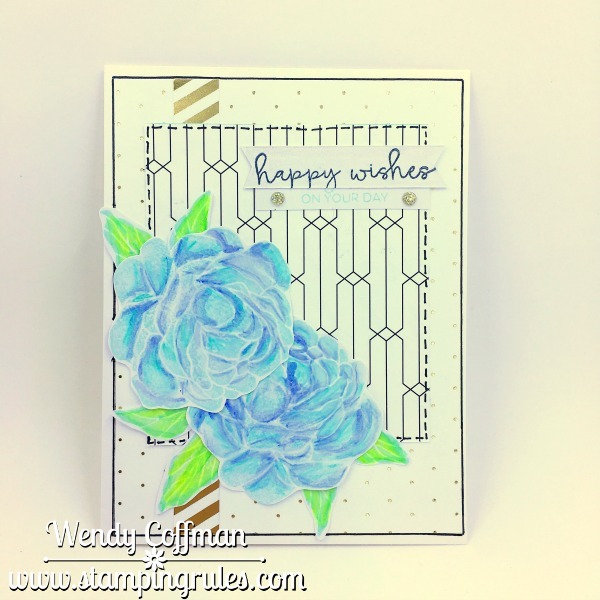 I simply inked the rose in blue ink and stamped it repeatedly all over the card front. each time I stamped the rose I also stamped off the second and third generation lighter images in the spaces between the roses. 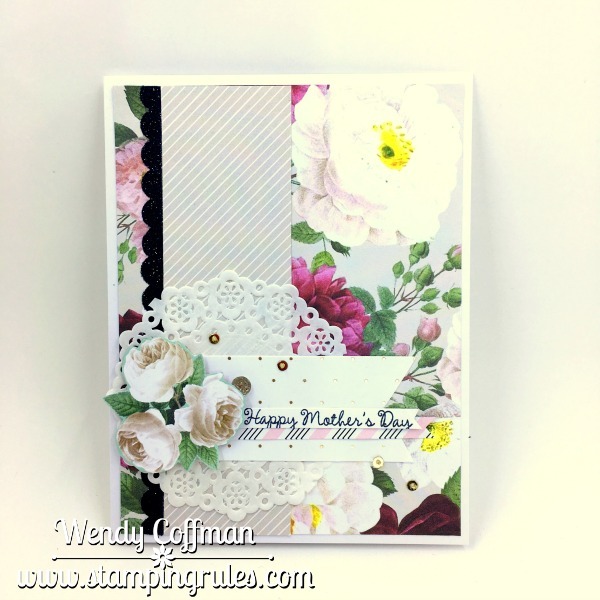 I love how that extra pouncing of the stamp image fills in the spaces of the background without adding more images to compete with the roses. 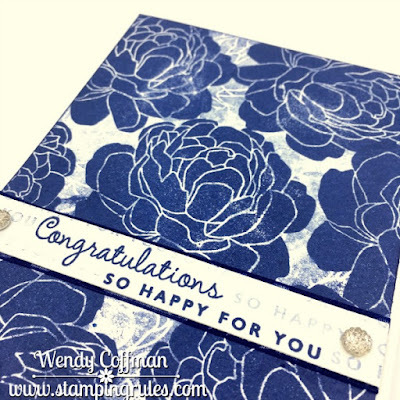 I layered my sentiment strip over some navy organdy ribbon from my stash, and topped it off with a couple of sparkly gems. 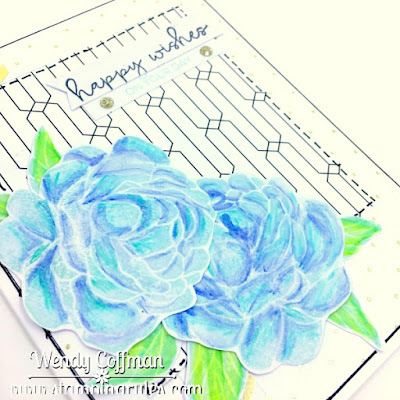 I'm linking this card up to the Heart 2 Heart Coming Up Roses Challenge. 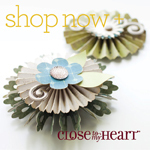 Check out the Live Beautifully Collection before it sells out! Ready to shake up my girlie, floral obsessed, glittery blog with another masculine card today? If not, look away! 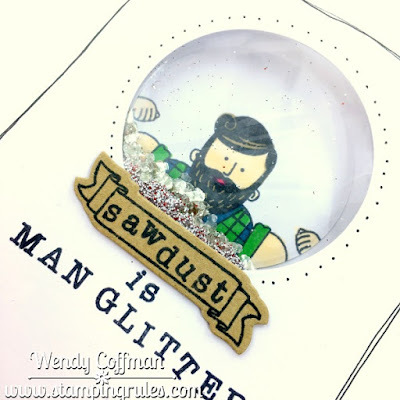 Never mind - I still found a way to add glitter! 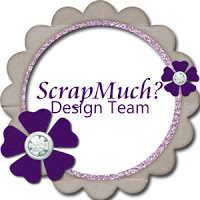 So I'm making cards with Jack-Scrapbooking, and, duh, it has no card sentiments. I really like goofiness. 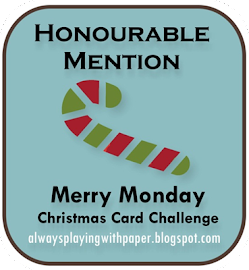 Like super duper love punny or silly card sentiments. 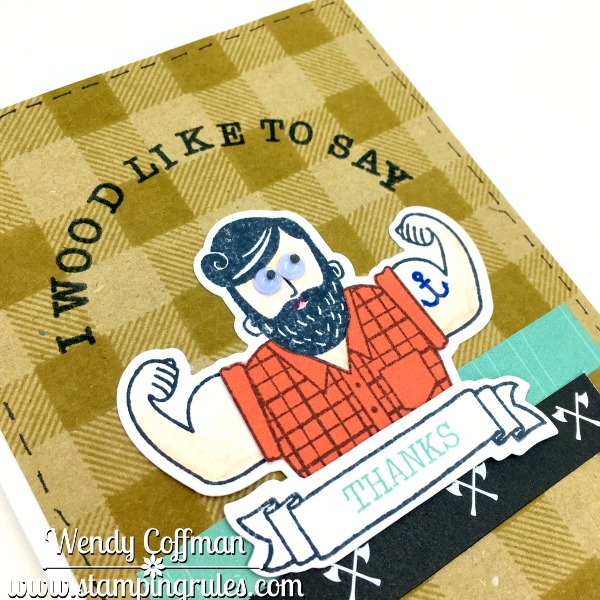 And if I don't have a funny card sentiment, I will make my own! That's one of the joys of stamping - complete and total control. this one I made with a retired set called Tiny Typewriter. I hoard save all my fonts forever and ever, because you never know when you'll need them again. 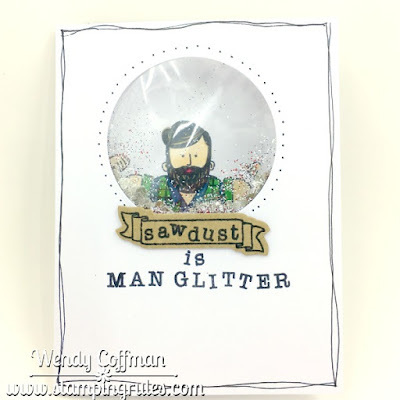 I used my Fuse tool to create a pocket for the "sawdust", which is a combo of brown, red distress, and white glitters with a big pinch of mica flakes. I kept the rest of the details simple, inspired by the clean and simple masculine card by Tracey McNeeley over at the MUSE Card Club challenge. 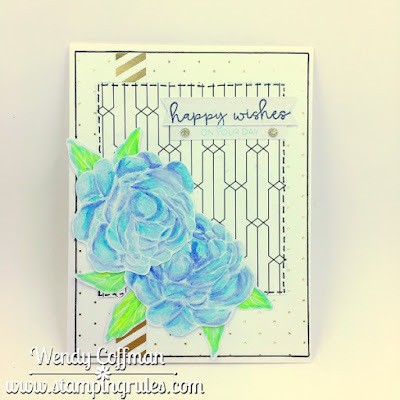 I only added one tiny kraft element like Tracey's kraft stripe, but couldn't resist just a bit of penwork. 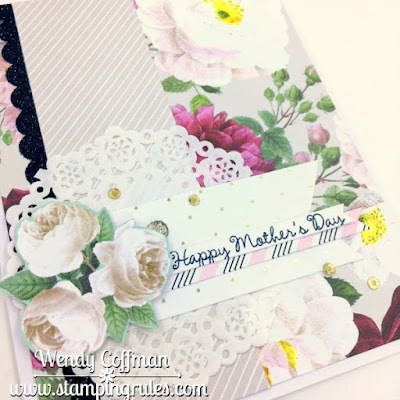 This is about as clean and simple as my embellishment loving heart could manage! I am so very excited to teach this class! I can't even tell you how much fun I had designing this one. It's rainbows. It's unicorns. It's watercolor. 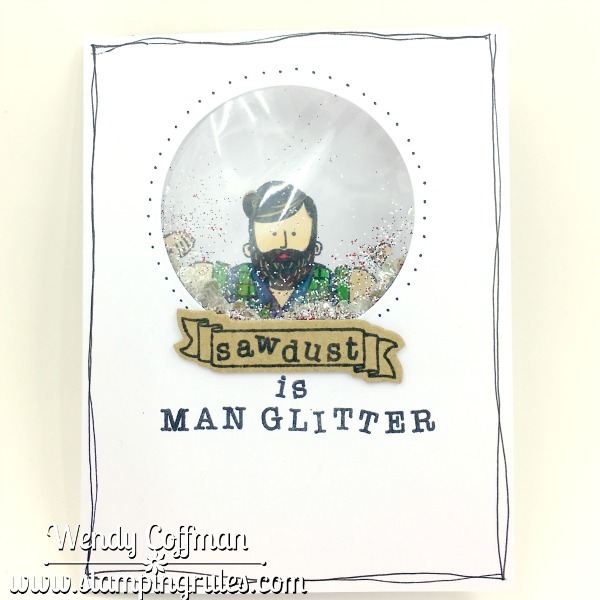 It's glittery. It's everything I love in one happy, colorful place. 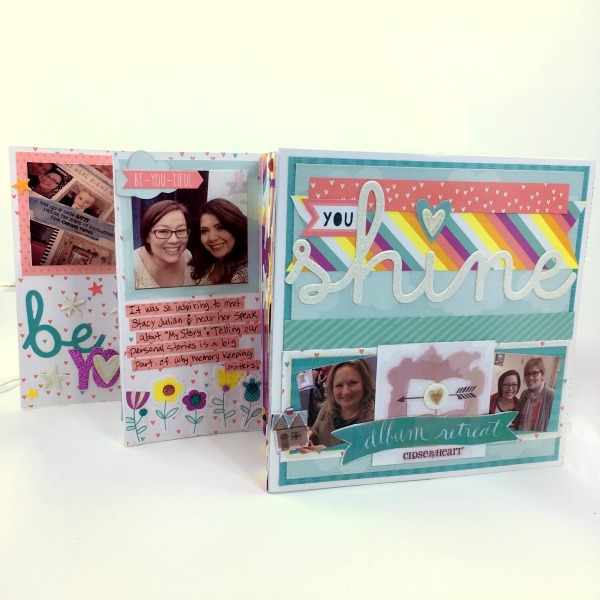 I'll be hosting this sparkly workshop on May 21st. You have so many options with this kit. You can make just the six cards for $12. Or you can make EIGHTEEN cards (3 of each design) for $25. Everything you need is included, except the watercolor paints (but I'll share my paints in class). Or you can have it ALL for just $35. Seriously. the mini Album and 18 cards. The full color instructions and, if you are local, The May 21st full day crop with lunch is included. 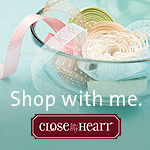 The only thing you need to bring is your own favorite adhesive. 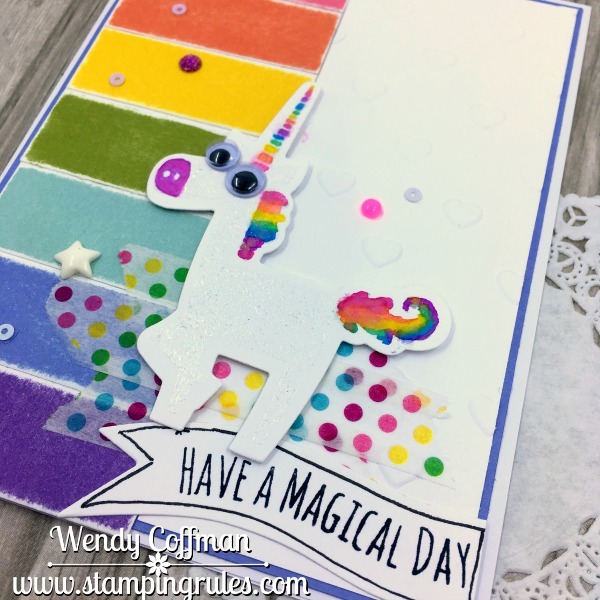 This Unicorn and Rainbows workshop is truly magical! If you are on my VIP FB group, there's a special watercolor bonus bundle posted there right now! 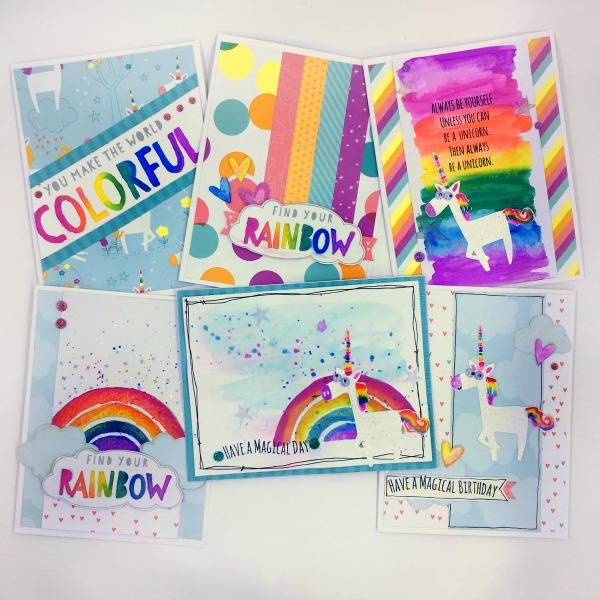 Ready to rainbow it up with us? Order your choice of kit below! If you need it shipped to your home, please choose the shipping option too, or we can meet up locally for free if you aren't able to attend on May 21st. Here's the Paypal link to reserve your kit. Holler if you have questions, and have a magical day! Crop Kits or To Go Kits!